New research from University of Alberta ecologists show "mineral weathering" can be a significant contributor to Arctic climate change. More here. 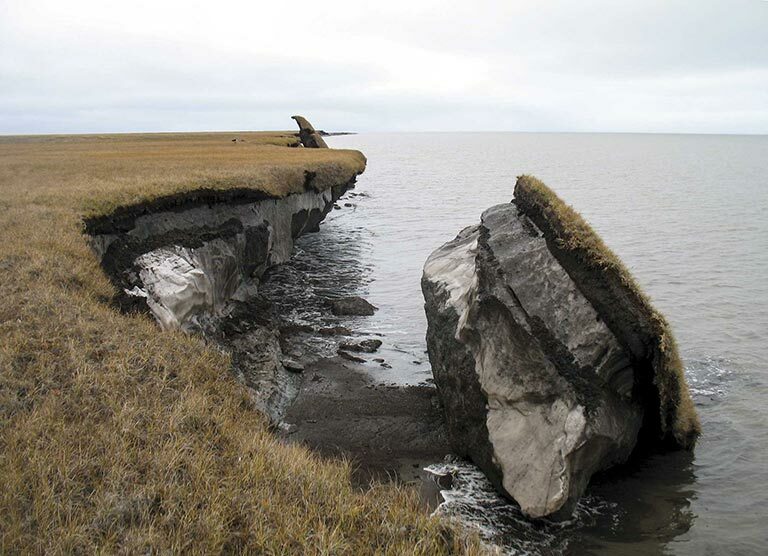 Melting permafrost in Alaska. Photo by the US Geological Survey.